There was an age when the world was young. It was a time before the coming of humans, a time when magic was the dominant power - and it was named the age of Faerie. Ever since this time, a bitter war has been raging between the forces of good and evil. And it was during this age that the Elfstones protecting the Elven race disappeared. They have been missing for thousands of years. Now a clue to their location may have surfaced in the ancient diary of a princess, and it will be the beginning of an adventure that no-one could have anticipated. This is the beginning of a breathtaking new series from the master of modern fantasy Terry Brooks. 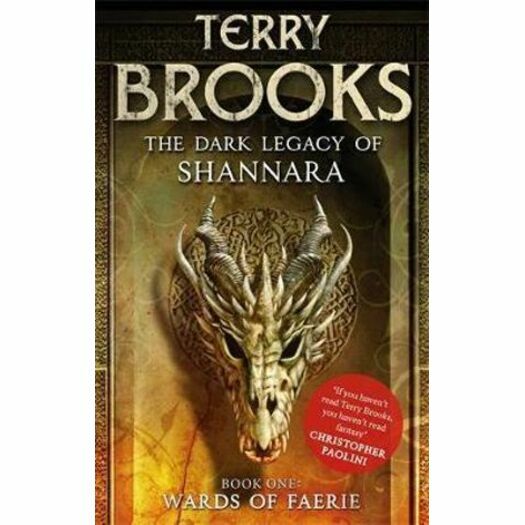 Returning to his core Shannara world, this spellbinding series will astound both seasoned Terry Brooks fans and those discovering his magical world for the first time. Terry Brooks was a practising attorney for many years, but now writes full-time. His first novel, The Sword of Shannara, remained on the NEW YORK TIMES bestseller list for five months, and he is widely regarded to have started the post-Tolkien boom in epic fantasy.